In 1750 Merthyr Tydfil was a quiet village surrounded by green fields. Most of the forty or so families who lived in the village worked on the land. However, this situation was to change when it became known that coke could be used for smelting iron. Merthyr Tydfil, with its large supplies of both iron ore and coal, was an attractive site for the ironmasters. 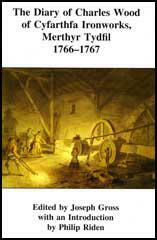 The first ironworks was opened in 1759. Others followed and by 1784 there were four large ironworks (Penydarren, Dowlais, Plymouth, Cyfarthfa) within a two mile radius of the original village. 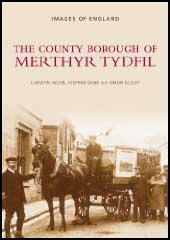 By 1801 over 8,000 people were living in Merthyr Tydfil making it the largest town in Wales. At first the ironmasters imported experienced workers from other iron-working areas such as Shropshire. In an effort to persuade these skilled men to move to Merthyr Tydfil they were offered high wages and good housing. The ironmasters also needed large numbers of unskilled from other parts of Wales. The ironmasters had to build houses for these people. Whereas skilled workers with families were usually provided with four-room terraced houses, unskilled workers were only given one or two-roomed houses. When the House of Lords defeated the proposed parliamentary Reform Bill in April, 1831, riots broke out in the town. When the leader of the reform movement in the town, Thomas Llewellyn, a crowd of 3,000 people surrounded the prison and forced the authorities to release him. Another rebellion followed in June and twenty-six people were arrested and put on trial. Two of the men were sentenced to death and several others were transported to Australia. 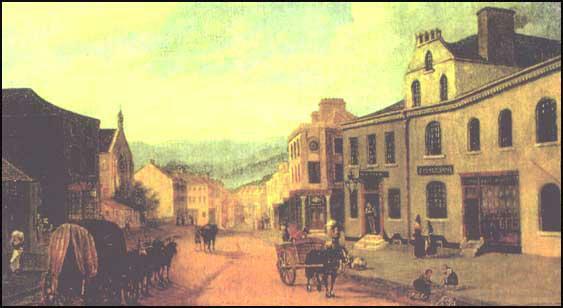 Merthyr Tydfil in about 1850. By the 1830s the Dowlais Ironworks was the largest in the world. Josiah Guest, who owned the ironworks, realised that it would be an advantage to link his ironworks with Cardiff docks. Guest joined forces with Anthony Hill, owner of another ironworks near Merthyr Tydfil, to form the Taff Vale Railway Company. Isambard Brunel, a talented engineer from Bristol, was recruited to build the railway. The supply of fresh water was extremely poor in Merthyr Tydfil. The River Taff ran through the town, but the ironmasters diverted the water to supply their steam-engines. The Taff became an open sewer and the contaminated water supply resulted in several outbreaks of cholera and typhoid. By 1848 Merthyr Tydfil's mortality rate was the highest in Wales and the third highest in Britain. Young children were particularly vulnerable to disease caused by unhealthy living conditions. In the first half of the 19th century, over 60% of all burials in Merthyr Tydfil were of children under the age of five. Despite this high mortality rate, the population reached 40,000 in 1845.